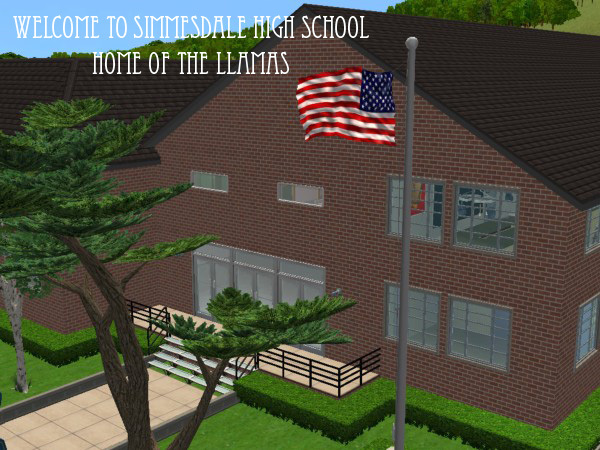 Mod The Sims - Simmesdale High School- Home of the Llamas! Simmesdale High School- Home of the Llamas! 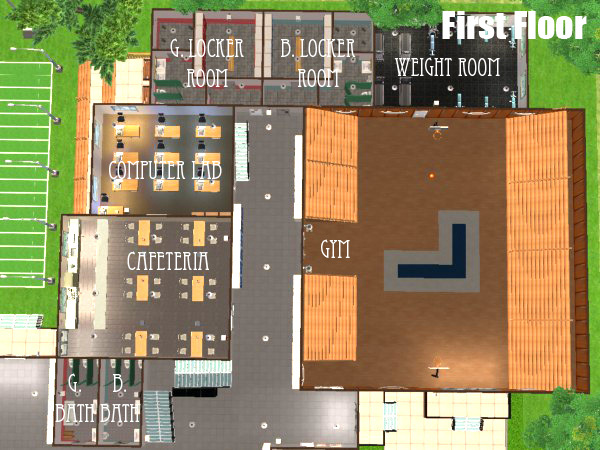 Welcome to Simmesdale High School- Home of the Llamas! 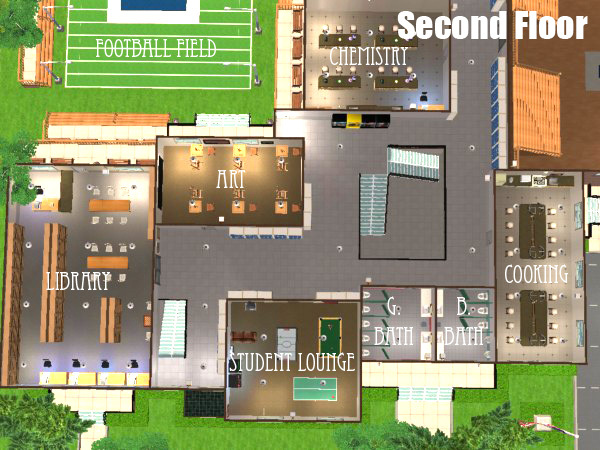 At Simmesdale High School, your Sims can finally experience high school! Our curriculum is only the best! 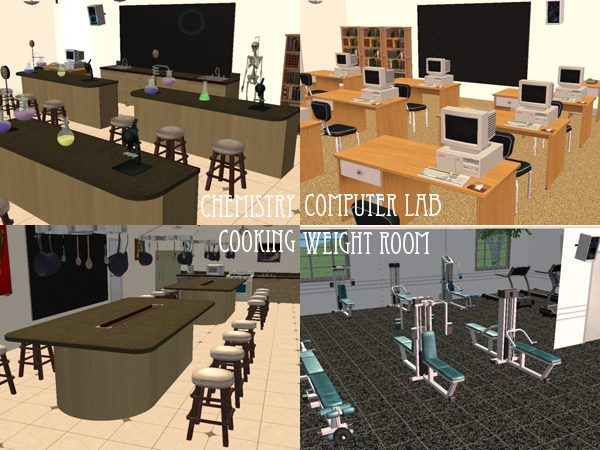 We offer classes such as chemistry, gym, art, band, cooking, computer lab, band, pottery and more! Our professors are the best in the business, who have dedicated their lives to educating our youth. We keep our classes small to provide more one-on-one teaching during class, so our students will get to know their teachers on a more personal level. Our teachers are 100% committed to helping students in need. We believe that if our students fail, our teachers have failed. Therefore, our teachers are motivated to mentor each student until the material has become second nature to them and they are able to pass exams with flying colors. Ever since we were established in 1889 by Dr. Alexander Simmesdale, every single student has graduated from college, and we intend to maintain that reputation at all costs! At Simmesdale High, we believe the teen years are among the most exciting times of our students' lives, so we provide the best learning environment out there, including a student lounge for our pupils to play and relax in before and after school and during lunch. For lunch, our cafeteria is catered by different restaurants every day to provide healthy and delicious foods that will guarantee your teens a full stomach, so they will be able to concentrate on their studies throughout the day. Several vending machines located on the first and second floors near the central stairways provide snacks and beverages in between classes for the on-the-go eaters. 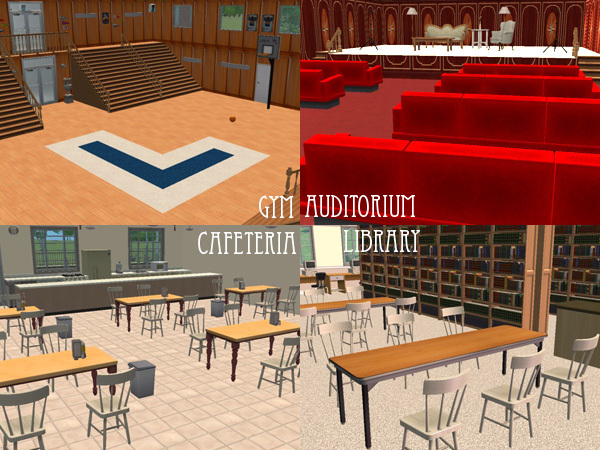 Extracurricular activities are held in high regard at Simmesdale High. 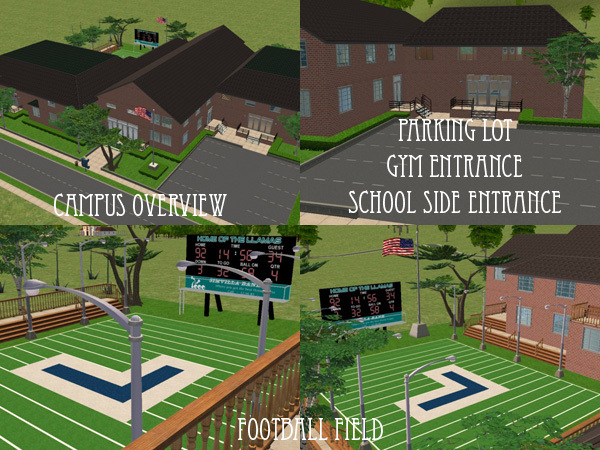 We encourage all our students to get involved in these programs and find hobbies and talents they find enjoyable to share with the rest of the Sims community. Every year, our students look forward to our plays performed by our drama club. Their plays are simply magnificent, and many of our alumni have become famous in show business. Our most popular sports here are football and basketball. Our coaches keep a positive attitude while training our athletes, and this ensures positive attitudes among our athletes as well. Our highly efficient weight room provides the best equipment for our athletes and our gym and football field are kept in prime condition on and off season. Our students love to cheer on their fellow Llamas at basketball and football games. Our Llama spirit never fades when we face our rival school, the Virtueville High Alpacas. Go Llamas! 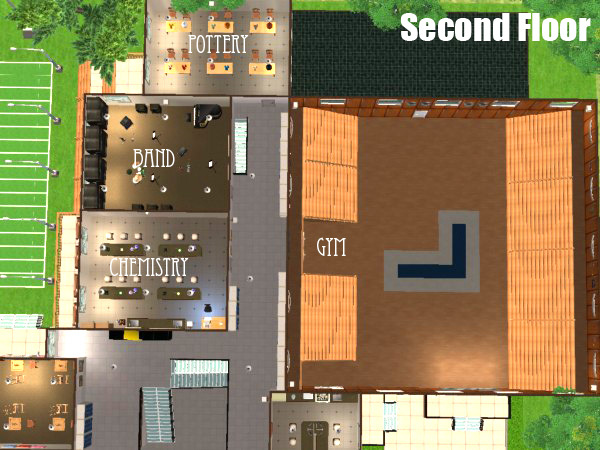 Our school and students outshine any public school, which are a total waste of your tax Simoleons, so enroll your teen at Simmesdale High School today! 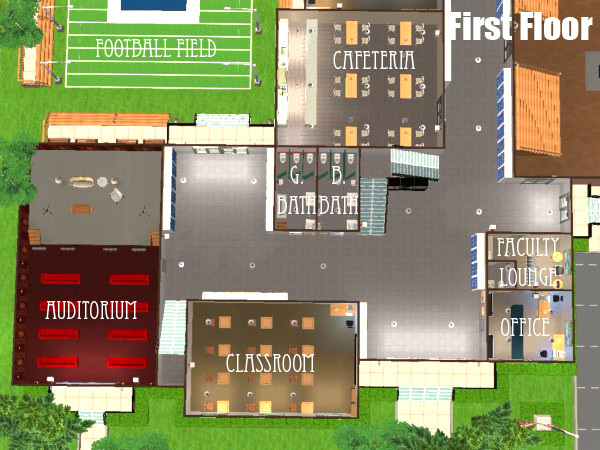 We guarantee a pleasant environment with the best education possible! This lot has been scanned with Clean Installer and is hack free! Please do not upload this to any other site! Thanks! I must say, I really enjoyed building this lot; it's definately one of my faves. It took lots of work, and I hope you enjoy it! Feel free to use it in movies and stories. A credit would be nice, but you don't have to.